Moisture analyzer is a laboratory measuring instrument intended to determine relative moisture content in samples of different substances. 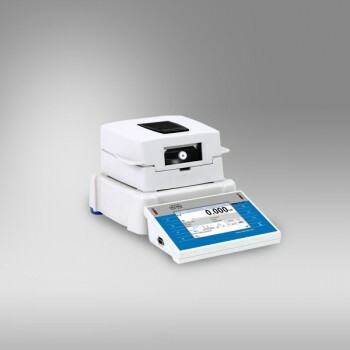 MA 3Y features 5,7" LCD colour touch panel which provides new possibility within the scope of balance operation and presentation of measurement result. It features extended databases containing programmable drying modes related to the database of samples. The MA 3Y series enables printing and exporting charts presented on its display to a BMP file.